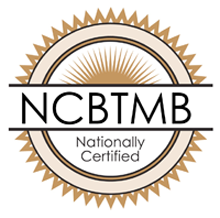 For more than 30 years, teaching the art and science of therapeutic massage has been the cornerstone program of our Kansas City, MO, Lawrence, KS, Wichita, KS and Springfield, MO locations. It’s just one of the many reasons why 88% of our graduates go on to become Certified Massage Therapists. With the upsurge in demand for holistic modalities, there is a wide range of employment opportunities for massage professionals. Successful graduates of the Massage Therapy Certificate Program are prepared for careers in massage clinics, spas, resorts, salons, hospitals, wellness centers, medical offices, health clubs, private practice, and much more. Massage is a “hands-on” career. At WellSpring we strongly believe that’s the way it should be taught and learned. As a WellSpring massage student, you’ll receive hands-on instruction from experienced Massage Therapists within the interactive and supportive learning environment of our Kansas City and Lawrence branches. You’ll also develop your skills helping actual clients during a clinical internship at the WellSpring Student Clinic. With real-world experience before you graduate, you’ll feel confident you have the expertise to thrive as you transition from student to massage professional. Beyond technique, you’ll earn a CPR certification and learn the anatomy, pathology, practical communication and business training skills it takes to turn Massage Therapy into a rewarding career. People are increasingly seeking guidance about how to maintain a healthier, more natural lifestyle. Our program goes beyond massage training to include basic wellness curriculum that will empower you to help others live well. As a WellSpring massage student, you receive basic training in general wellness, nutrition, and lifestyle-management skills. Students are also taught when to refer a client to a specialist in these fields. It’s all part of the integrative health care model that is the foundation of the educational experience at WellSpring School of Allied Health. The WellSpring Massage Therapy Certificate Program offers both a daytime and evening schedule, so you can balance your career training with family, work, and other responsibilities. With classes offered just 2–4 days per week and a low student/instructor ratio, our program maximizes personal attention and success. 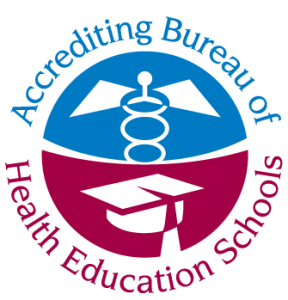 In the State of Missouri, and most major municipalities in Kansas, Massage Therapists are required to first complete a recognized program like WellSpring’s, and then pass the national Massage Board Licensing Exam (MBLEx) to become licensed to practice. At 90%, WellSpring boasts a student pass rate that is well above the 74% national average! You’ll earn enough hours to certify in Kansas, Missouri, and most other states across the country. Discover whether a career in Massage Therapy is the right path for you. Fill out the form on this page to receive more information. A helpful WellSpring Admissions Representative can answer all your questions and help you with everything from scheduling to financial aid. What I love the most about being a massage therapist, is that nearly every person who comes to see me is there because they genuinely want to be. In my previous career of being a real estate agent, there was so much tension and stress on the job. In massage therapy there is a lack of stress and a peace that overcomes both client and therapist.